15 Best Basketball Shoes That Are Just Perfect! | Low Top, Mid Top, High Top, Performance, Design & Traction | 2019! 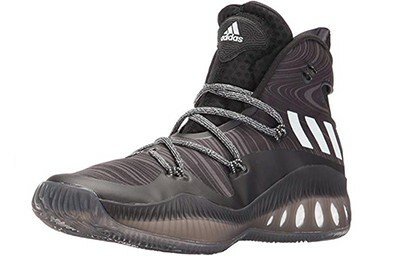 15 Top Shoes For Basketball in 2019 – Reviewed! Buying The Best Pair Of Shoes For You, Some Tips. Anyone who is into basketball knows how important it is to wear the right shoes on the court. There are lots of factors included into shoes’ design that can greatly affect your performance – of course you’ll want to both look and feel great when playing, but the basketball shoe market feels almost overwhelming with the variety of choices it is offering and you won’t always be sure which ones to pick. You can also get a bit skeptic about new companies competing against household name brands such as Nike and Adidas, but you’ll find that they can offer quality products as well. The good news is that, if you are buying on a budget, you will definitely not be at a loss because you can get quality shoes for a small amount of money. Especially with the help from our list of best basketball shoes. Anything from high top, low top, mid top is available now in every budget. Same goes with performance, design and traction. On the other hand, if the shoes’ cost is not really a concern of yours, you can focus on other factors that can have a major influence on how you perform on the court. It’s needless to say that in both cases you will surely be positively surprised by the models’ aesthetic and find something that suits your needs, but before you start judging a shoe by its design, there are other aspects to pay attention to when buying your perfect pair of basketball shoes. We have already mentioned how important the cushioning system is, and a company like Adidas obviously understands their buyers’ needs and always provides them with the best – and the Ignition edition is definitely the proof of that. Their Cloudfoam cushioning is a game-changer, to say the least, and helps provide you with optimal comfort and support. The comfortable experience does not stop here – they also have a padded collar and tongue to improve your experience on the court. These shoes are made from a mix of textile and synthetic, and you can get them in six colorways – black, grey, white, red, blue, and navy; and all of these models come with patterned laces. Their material is light and helps create air flow while playing. They also have woven mesh uppers and embroidered details, designed for a stylish look and to help create a feeling of lightness. Their synthetic heel overlay is a great asset in terms of stability, and along with the lace-up closure, they secure your feet, give them a tight grip, and provide you with ultimate ankle and arch support. They also have a treaded rubber traction outsole with pivot point for quick on-court transitions. Their price starts at $50, and can go up to $135, depending on your shoe size and which model you choose. 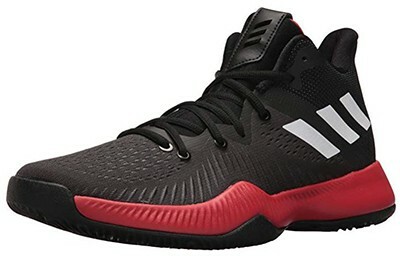 Overall, these shoes would definitely be a great choice for you if your main concerns when buying basketball shoes are comfort and stability, and if you are buying on a budget. 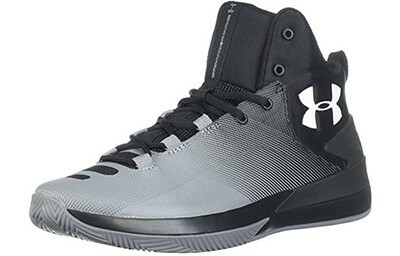 Again, if you are buying on a budget, Under Armour’s Rocket 3 edition will definitely be a great choice for you. Their price can be anywhere from $36 to $90, depending on your size, which is a steal, especially if you wear a smaller size. But the low price is not all Under Armour has to offer to their buyers, and one of the best examples for that is their CompFit ankle construction that provides you with superior range of motion and optimal ankle support. You’ve probably already heard of die-cut EVA sockliners and how comfortable this feature is, and you’ll be glad to hear that they are incorporated in this model. The EVA midsole is featured in this model as well, and both of these will help deliver a comfortable and light experience. This type of underfoot cushioning is made with keeping optimal support in mind, and the buyers seem to be thrilled by it! This model’s laced webbing system helps provide ultimate forefoot lockdown, keeping you stable and in complete control of movement. Their mesh upper is coated in TPU film in order to guarantee their unmatched durability. They also have a herringbone patterned outsole with some exposed areas for maximum traction, to avoid any possible on the court, which makes them a great choice for both indoor and outdoor courts. To sum it up, Under Armour is giving their competition a run for their money with this model, because it is inexpensive and high quality, which is usually a rare combination when it comes to basketball shoes. As always, Nike will help you serve some looks on the court and feel great while doing it! The Hyperdunk edition goes away from herringbone patterned outsole and introduces its take on blades. What we love about this is that it really helps improve your stopping power in quick on-court transitions. Their durability is also a great feature to keep in mind. This model also introduces a Zoom cushioning system, made to improve your experience on the court – this system is a great feature that will help reduce any external impacts and make your push-offs quicker. Some foam systems have a drag to them, speaking in terms of when the foot sinks into the foam and then waits for its response, but Zoom solves this problem and makes the response time faster than ever. The HD16 has mesh/fuse uppers and feels light on your feet, while at the same time not lacking in durability. The fitting experience may be one of HD16’s best features, because you don’t even have to lace them too tight and you will be locked in. The tongue wrap system helps tighten the forefoot around the ball of the foot and the toes; and the ankle padding wraps tightly around the ankle giving it full support and preventing any possible slipping. Overall, as always, Nike delivered a great, high quality shoe that you would definitely enjoy wearing both on indoor and outdoor courts, but even with your daily outfits as well. 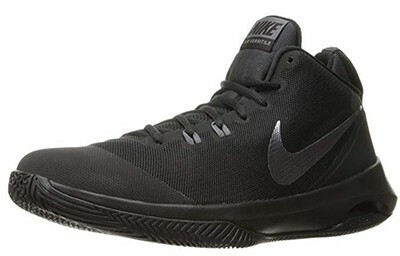 The Hyperdunk edition offers great lockdown experience, optimal support, and looks great! Nike’s Air Versatile Nubuck edition definitely lives up to its name in terms of their versatility – they are a great choice for players of all levels. They are comfortable due to their Air cushioning technology, which is, as you know, one of the best cushioning on the market right now. Their insoles absorb shock with ease, while the Air-sole unit cushions will protect your heels from external impacts. A padded tongue and a padded ankle collar also help do the trick, and offer you with even more comfort and support. Nubuck’s leather overlays are also easy to maintain – you can just wipe them clean with a damp cloth and you’re ready to hit the court! Most of the buyers say that the reason they bought this model in the first place is their look, and being able to choose from a variety of different colorways can’t hurt, right? The available colorways are: dark grey, black, red, blue, white, and combinations of black and white. Even though it is their style that most buyers keep in mind, they also have great features that will positively surprise you. This model will give you the needed comfort and support no matter what position you’re playing, which is usually quite tricky to achieve. Their price starts at $50 and can go up to $110, depending on the size and the color you go for, so if you are buying on a budget this model will definitely be a great choice for you. For those of you who want to explore the basketball shoes market and experiment with different brands, both while staying on the budget, CJZHE might be a great new option for you to explore. 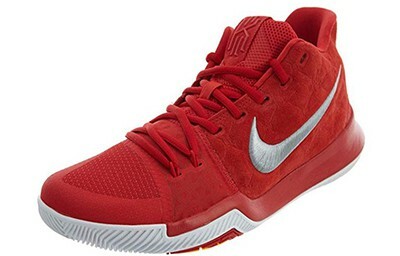 They offer quality basketball shoes at a ridiculously low price (from $26 to $37). This model’s main color is white, but you have a choice to make when it comes to their stripe – red, yellow, and white. They are made from soft breathable mesh and have an almost sock-like feeling to them. Due to their rubber soles, they prevent any possible slipping and provide you with full control over your movements. The majority of buyers’ reviews are saying that they are more than content with their purchase of CJZHE basketball shoes because, first of all, they like the way they look. Even though their price is roughly around $30, they look like their more expensive counterparts, and their material does not feel cheap whatsoever. The second reason why the costumers keep coming back is their high quality and durability, which is, again, quite surprising for basketball shoes at such a low cost. They clean up easily and you do not need to worry about maintaining them – a quick wipe will do the trick. Getting cheap basketball shoes that won’t tear easily is hard to find on its own, but getting shoes that have great traction and support while buying on a budget can seem almost impossible; but it looks like CJZHE managed to incorporate all of these features into this particular model. Overall, CJZHE’s basketball shoes are a bargain, to say the least, and you definitely won’t be disappointed with their quality if they end up being your choice for the court. If your main concern when buying basketball shoes is whether you can use both on indoor and outdoor courts or not, the Mad Bounce edition will be a great choice for you. Their Bounce cushion is complimented by the majority of buyers, and a great number of them state that they did not experience joint pain after wearing them whatsoever, which can happen when wearing shoes all day. Their cushioning system is well-balanced and will provide you with optimal impact protection and shock absorption. They feature a mix of fused mesh and knit uppers with forged panels on both sides for additional lateral support, another feature most customers compliment. They might need a rather short break-in period, but are very comfortable despite this fact. Also features a ‘’chromosomes’’ style traction pattern which helps you have complete control of your movement and won’t cause any possible slipping, which is the main reason why they are so great for both indoor and outdoor use. The pair is true to size, but if you have wide feet keep in mind that you should probably go at least half a size up because this model is a bit on the narrow side. In fact, the majority of buyers say that they are the perfect pair to get if you have particularly long narrow feet, because there is not too much space in the toe box. You can get them in three colorways – white, grey, and black. Their price goes up to $145, depending on the color you choose, and your size. 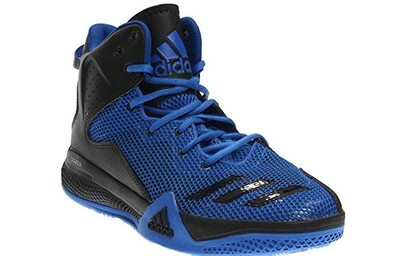 Overall, Adidas rarely ever disappoints, and they definitely did not want to do it with the Mad Bounce edition. For $145, you are buying a high quality shoe to show off on all sorts of courts. If you’re looking for a variety of colorways to choose from, Nike has got you covered with their Kyrie 3 edition. They are offering over twenty colors of this model guaranteed to suit your taste, and you can wear all of them with your daily outfits. The Kyrie 2 edition was the talk of the year when they were first released due to their great traction, and Kyrie 3 is definitely continuing this tradition. 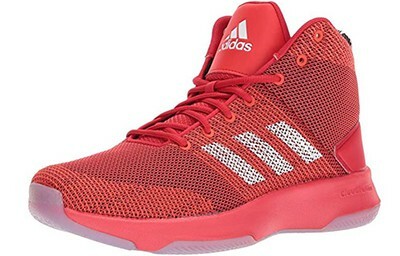 Most buyers said that these shoes have the best traction they have ever had in a basketball shoe, and that they are quite sticky so you’ll have a great grip both on indoor and outdoor courts. 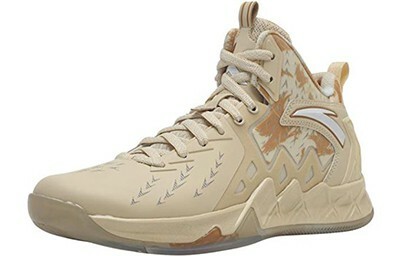 What some of them also say is that these shoes are perfect if you are playing guard. They are a bit narrow, so keep that in mind if you have wide feet; and they might need a short break-in period, as few customers commented. Just like the Hyperdunk edition, they have the Zoom cushioning system, but this part is where buyers can’t agree on whether it is great or terrible. Some say that aside from Zoom, these shoes have no cushioning whatsoever and that they are not very comfortable. On the other hand, other buyers love the cushioning and say that it feels as comfortable as basketball shoes get. Guess you’ll have to decide for yourself, right? When compared to the Kyrie 2 edition, Kyrie 3 is an improvement in many ways, but most of all because of its material. The primary feature used on toes and midfoot is mesh, whereas the flex zone at the forefoot is a foam layer reinforced with Flywire. They really do fit true to size, but as we mentioned before, you should definitely size up if you have wide feet, in order to avoid blisters and any other possible injuries. Overall, if your main concern when buying shoes is traction, you’ve just found your perfect pair. Other than that, Kyrie 3s’ do have a lot to offer but it seems that buyers’ opinions on them can vary greatly so it’s up to you to decide whether to love them or hate them. Speaking of great traction, Nike did not fail in the Zoom Clear Out edition either. This model works great on indoor courts, and there is hardly any wiping needed at all. You may want to avoid wearing them on outdoor courts because the rubber is quite soft and pliable. Nike Zoom Clear Out’s feature Zoom cushioning technology on the forefoot which is great in terms of impact protection, and can be a great asset if you are playing guard. However, some buyers comment on how they expected this model to have Zoom on all parts of the shoe, and were disappointed that they did not have that responsiveness of the cushion they were looking for. This may be the reason why this model is considered to be great for guards, because the cushioning (or the lack of it in some parts of the shoe) is designed for fast transitions on the court. This model is also great because there is no break-in period needed, due to the micro mesh on the upper of the shoe. The micro mesh also provides these shoes with extended durability, when compared to regular mesh materials. This material combination is definitely one of the reasons why they are so comfortable and light. They wrap around your foot nicely and give you perfect lockdown. Make sure to get your size right, because only then will you be able to feel the full support Zoom Clear Out can offer you. The shoe features two nylon straps on the first two eyelets, which also helps secure them around your forefoot. Because of the shoes’ asymmetrical tongue, you will be able to lock down your foot for even better support. They also feature an internal heel counter and a molded arch. Just like the Kyrie 3, this edition offers a variety of colorways to choose from (seventeen colors to suit any taste), so you can be sure you will find basketball shoes that offer great traction and support, while looking great too. 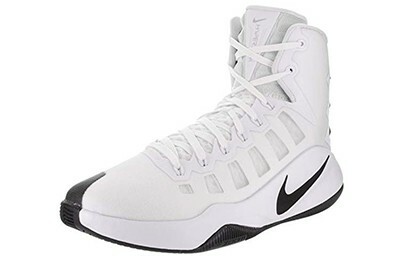 Overall, if you have about $100 to spare, you will be investing in long-lasting, high quality basketball shoes that will give you all the support you need. If you are looking to invest in an unconventional pair of shoes to show off on the court, this is definitely the model for you. They are offered in more than thirty colorways, all of which are stylish and great even for daily use. They don’t really need a break in period, so you’re go to go as soon as you get them! Most of reviews you will come across will be about how light they feel, while not losing in the support department. They are even more comfortable than you would probably imagine, and can be worn all day without feeling any discomfort whatsoever. But however comfortable they are, you have to get your size right because this model is perfect for people with long narrow feet, just like some of the models reviewed before. If you have wide feet, you should probably go at least about a half a size up to avoid any discomfort or possible injuries. Their Bounce cushioning is balanced out through the whole shoe, allowing you to feel great – while looking great! They are quite affordable, considering their good quality and aesthetic. Also, their lacing system can be customized in order to provide you with even more comfort and lockdown. However, some customers say that the traction collects dust easily, which can be a problem if you don’t wipe it off frequently – which also connects to what some buyers had to say on their heel slippage issues. If you do end up going for this model, make sure to wipe them as often as you can to avoid these drawbacks and enjoy your time on the court. 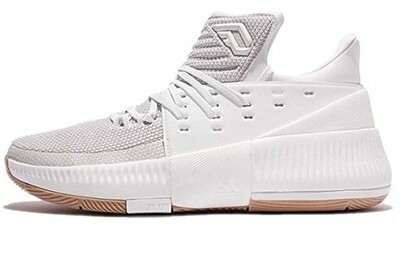 The bottom line is that this edition is definitely an improvement from the D Lillard 2s’, and that they will surely suit most types of foot shapes, but even more importantly – most types of players. You have probably seen this model listed in quite a few ‘’Top 10 basketball shoes’’ articles, and you have probably wondered what makes them so good that they are the talk of the day. Well, you’re just about to find out. They are made from a mix of textile and synthetic, and the mesh uppers help create air flow in order to avoid over-sweating. They feel quite light once put on, but you will still feel full control over your movement. Their Bounce technology in the midsole will provide you with optimal comfort. But, yet again we have to mention that these would be perfect for you if you have narrow feet, so if you don’t please make sure to size up. Keep in mind that this model’s price varies between $50 and $80, which is definitely a steal for such high quality shoes, especially when it comes to Adidas. The mid-top design will help you get full lockdown and also great ankle support. But what makes them so special? Traction, traction, and traction! Their herringbone pattern will provide you with best traction you have ever had. You can wear them on indoor and outdoor courts, without having any problems with them tearing, or with you slipping. There is hardly any need to wipe them, aside from aesthetic reasons of course, and they also don’t keep any traces behind no matter what court you are playing on. Most of the buyers say that playing in these shoes felt like walking on air, and that they are in love with the shoes’ style. Some of them even bought them just for daily use, because of how much they liked how they look. To sum it up, these shoes are definitely worth mentioning in this list because they are basically everything you need in a basketball shoe – high quality, no maintenance needed, they will provide you with a feeling of comfort and lightness, and they are affordable too! Yet again, Nike offers you more colorways to choose from than you can imagine. You can get the Hypershift model in more than twenty color variations. They feature mesh uppers with Flywire lace-up construction in order to provide you with a great fit. 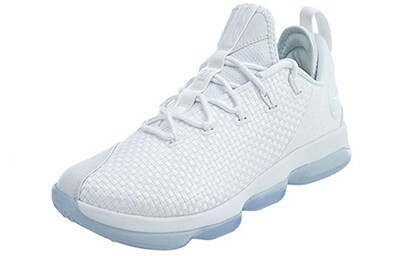 However, the mesh featured on this model is said to feel even softer than the regular mesh you come across in basketball shoes, making them more comfortable and light than the majority of their counterparts. The padded collar and tongue will also give you additional comfort as you play. The back of the shoe and its tongue are made from a Nylon material which makes the put-on experience even more comfortable. Their cushioning technology is quite like the Kyrie 3s’, meaning they offer a Zoom Air unit in the forefoot, but not in the whole shoe. Some of the buyers even refer to this model as ‘a budget version of Kyrie 3’. 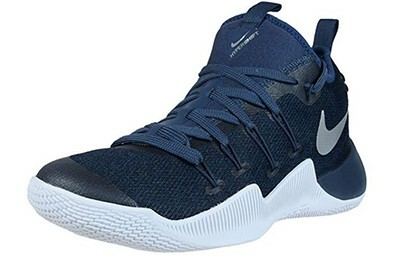 Intentionally or not, Nike seems to make shoes that cater towards the guards, and this model is not an exception – they are responsive and their cushioning is quite low to the ground. Their rubber soles are quite dense so they are the perfect choice for outdoor courts, but they will need some wiping in order to improve traction. Speaking of traction, they feature a very dense pattern which allows strong stopping power and a good grip on whatever court you play. As for their fit, you will find that most reviews you’ll find online are more than positive. But the highlight of this model is definitely its support, which mainly comes from great fit and the external heel counter. The heel counter locks in your heel and holds it in place from the moment you put the shoes on to the moment you take them off; and the lace-up construction is more than supportive. Overall, their responsive cushioning system, light construction, and great support are the perfect features to look for if you are playing guard, and you surely won’t be disappointed. The Crazy Explosive edition definitely has a great balance of good materials and performance. Due to the coral reef pattern any transition in movement is effortless and easy. The traction will hold up even on the most challenging courts you may play on, with an occasional wipe or two, but it is definitely nothing to complain about. You will definitely have strong stopping power in these shoes, allowing you to move freely and to be in full charge of your movements. This model also features Boost cushioning technology, which has proven itself to be a wonder-maker in lots of other models too, so why change something that works? You will have responsive feedback, great impact protection, and most importantly – comfort. The TPU wrapping on the lateral side of the midsole allows the Boost cushioning to expand a bit for a more responsive feedback; and the cushions in the heel will ‘make you feel like you’re on cloud nine’, as some bloggers say. The Crazy Explosive edition actually offers two types of material – the Primeknit version and the neoprene version. The neoprene version features full neoprene uppers with fuse layers along the midfoot in order to provide you with great lockdown and proper durability. This version feels quite lighter in hand, as opposed to its Primeknit counterpart, but that is just a matter of taste. They are almost the same, with the only difference being their uppers. The highlight of this model would definitely be their fit. Their Geofit bootie shape will allow your feet the ultimate lockdown experience, alongside with their lace-up construction of four lace loops strategically designed for this cause. When you have great fit, lockdown, and cushioning, the support aspect of the shoe is a no-brainer. Of course you’ll end up having the ultimate support in all of areas you need. The infinity-shaped torsion plate will offer the needed support while keeping the shoes’ platform stable. To sum it up, the Crazy Explosive’s will work no matter what position you play and will surely exceed your expectations. NIKE Lebron XIV basketball shoes have definitely been a hit ever since they came out, but what exactly to expect when you are buying them? 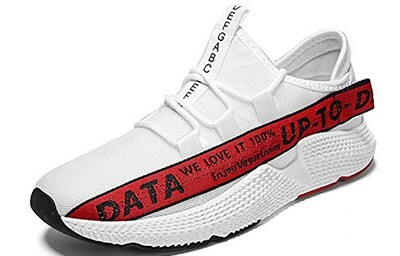 You would definitely want to look into the shoes’ material and the features they offer before you decide if they are what you are looking for. The materials used in this model are mostly mesh and foam overlays, but some of the colorways you can choose from can include leather details. You can get your perfect pair of these shoes in up to nine colorways. The material’s softness allows you freedom of movement and will adjust to your feet easily. This model seems a bit heavy when you hold it in your hand, but will feel light as soon as you put them on. They don’t need any break-in periods whatsoever, so you will be showing off your moves as soon as you hit the court. Their outsole rubber is great for both on outdoor and indoor courts because it grips to the floor and does not tear easily. Just like with any other basketball shoes, you will have to wipe of the dust from time to time, but it is really nothing to resent. Their best feature would definitely be the great impact protection, which is another reason why they allow such freedom of movement. They fit wide feet much better than other basketball shoes you will come across, mostly because of their high quality material which adjusts to the shape of your feet. Though they are considered to be more expensive than most shoes you’ll stumble upon, their high quality, great fit, and the fact that you can use them on any type of court makes up for the high price. Just think of it as a good investment you will make to improve your overall performance on the court. If great aesthetic is what you are looking for, you will absolutely love the ANTA KT2 edition. Choose your perfect pair from 11 colors of these high tops – you can get them in almost every colorway you can think of. But Klay Thompson’s second signature shoes edition is definitely not all about the looks. Their uppers combine mesh and fuse which helps their durability, but most of all, together they help create that feeling of lightness you want on the court. The cushioning setup is, by the majority of buyers, said to be as comfortable as the high-end cushioning of other brands on the market. The TPU on the heel helps keep your feet in place, which also allows you to be in full control of your movement. ANTA KT2’s outsoles are the feature probably most worth mentioning – they have great stopping power, and you can change your directions with ease without worrying about slipping. This is, of course, where their traction must be mentioned as well, because the majority of happy costumers love it. Most reviews say that the traction is so good because it does not attract any dust, which means that you don’t even have to wipe your shoes at any point of the game. The only downside of this model you could come across is that they do not fit so well on wide feet, so make sure to size up and start enjoying your time on the court in these stylish and comfortable shoes as soon as possible. And there you have it, fourteen models with great features to choose from. Whether your main focus is comfort, support, or great traction you will definitely find something to suit your needs in any of the reviewed models. Happy shopping! Before you go on a hunt for that perfect pair, you should do your research on several things; first one being the shoes’ material. You will want to get shoes made out of somewhat flexible materials because they will adjust to your feet more easily and, in most cases, won’t cause you to sweat too much. So definitely go for woven or knitted materials, combinations of mesh and fuse, or textile and synthetic because they will give you that light feeling on the court. Some of the shoes you’ll come across have sockliners, which is also a great feature to pay attention to because sockliners help support your feet and feel comfortable. If your desired pair does not have sock liners, you will want to find shoes with good lace-up construction, so you can control how tight their fit is. One of the most important things to look for when buying basketball shoes is their cushioning system. This is the fundamental, key feature that will be responsible for your comfort and should definitely not be taken for granted. Most of basketball shoes manufacturers pay extra attention to cushioning in their shoes, and are designing new cushioning technologies in every new model they release. You have probably heard of Cloudfoam, Zoom, Air, Bounce, etc. and you should keep these names in mind when looking for comfortable and durable shoes. 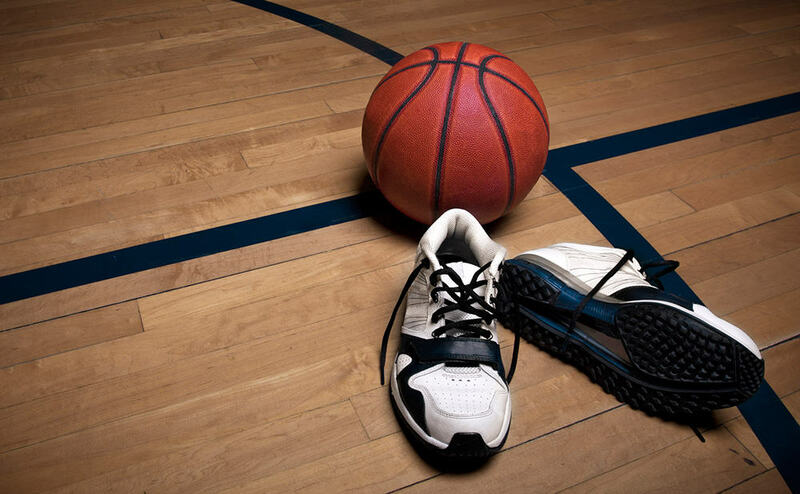 One of the other mentioned features you should always look for when buying basketball shoes, almost as important as the shoes’ cushioning, is ankle and arch support. This is a no-brainer, because we all know how important support is, and how some low quality basketball shoes tend to lack it, causing you to, at times, lose control over your movement. A faulty support system can be the cause of many injuries, so keep that in mind when buying shoes. Speaking of control, you’ll want to buy shoes that have good traction patterns, in order to avoid any possible slipping and tripping while you play. Most of the newer releases (meaning 2015-2018) from companies such as Adidas, Nike, Under Armour, etc. can be used to play both on outdoor and indoor courts, but also keep in mind that, with most shoes, you will have to wipe off the dust from the shoes’ outsoles from time to time to keep their traction and good grip. The good news is that most of these companies also offer a variety of stylish colorways in most of their models, so you can wear your shoes even outside of the court. With that being said, you probably want to see which basketball shoes combine all of these great features into one, so without further ado, choose your perfect pair from one of these fourteen great models! i like the zoom nike speckled.